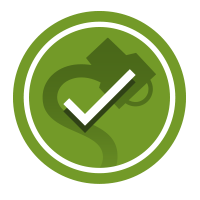 FACT CHECK: Was a GoFundMe Page Established for Brett Kavanaugh? 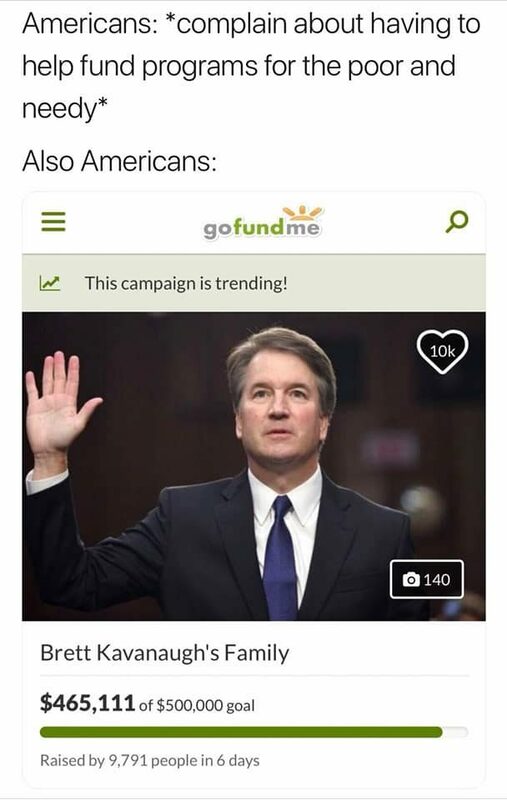 Was a GoFundMe Page Established for Brett Kavanaugh? Several GoFundMe accounts were opened in the Supreme Court nominee's name during his Senate confirmation hearings, raising more than $600,000 in donations. A GoFundMe page was established to collect donations for embattled Supreme Court nominee Brett Kavanaugh. The fate of Supreme Court nominee Brett Kavanaugh hung in the balance in early October 2018 as the Senate Judiciary Committee awaited the results of an FBI investigation into allegations that he had committed a sexual assault some 30 years before — allegations that Kavanaugh angrily denied in his Senate testimony. The Senate was already sharply divided along party lines on the urgency of pushing ahead with the confirmation, with Democrats demanding a full and unimpeded investigation into the charges and Republicans accusing the Democrats resorting to delaying tactics and attempting to destroy Kavanaugh’s reputation. Public opinion was divided as well, with 45 percent of Americans saying they believed Kavanaugh’s accuser (Professor Christine Blasey Ford) and 33 percent saying they believed Kavanaugh in an opinion poll taken four days after their testimonies. This clash of opinions played out on social media as uncivil debates raged in which each faction claimed the moral high ground and accused the other of lies and hypocrisy. Yes, a gofundme page has raised over $100,000 for ‘poor’ Brett Kavanaugh. Whether or not it addressed an actual financial need on his part (press reports suggest that Kavanaugh, though by no means poor, is less well off as several current members of the Supreme Court), a number of Kavanaugh supporters did launch GoFundMe accounts in his name in late September and early October. The most successful of these had raised more than $600,000 by 5 October. It was opened by John Hawkins of North Carolina, who runs a partisan news and opinion website called Right Wing News. Like many decent people from both parties, I have been disgusted by the unsubstantiated 36 year old smears aimed at Brett Kavanaugh. We live in a country where innocent until proven guilty is supposed to mean something; yet Brett Kavanaugh’s reputation is being dragged through the mud while his family is facing non-stop death threats. Hawkins posted updates chronicling his efforts to get in touch with the Kavanaugh family to discuss disbursing the funds. After many unsuccessful attempts he finally spoke to one of the judge’s staffers, who told him that although the family is aware of the GoFundMe account and “extremely appreciative” of the donations, it would be a while before they could address the question of whether or not Kavanaugh, as a political appointee, can accept the money. I feel like all of you who have made a contribution are on this journey with me, which is very heartening. And some journey it has been and continues to be. We have already had to move four times, our movements are limited even with security, and the threats are ongoing. Thanks to you, I am able to feel safe, my family can be together, and my children can continue to go to school. [29 November 2018]: Added information about the closure and disposition of the largest GoFundMe accounts in Kavanaugh and Ford's names. Washington Examiner. 31 October 2018. Market Watch. 5 October 2018. The Guardian. 27 November 2018. Market Watch. 14 July 2018.